On some mornings, you really need an excuse to get out of bed. While bran muffins may not sound so interesting and delicious, the smell of this recipe baking in the oven is enough to bring the deepest sleeper to consciousness. At the very least they can sleep walk their way into the kitchen and if they are really talented (or on ambien), sleep-eat. 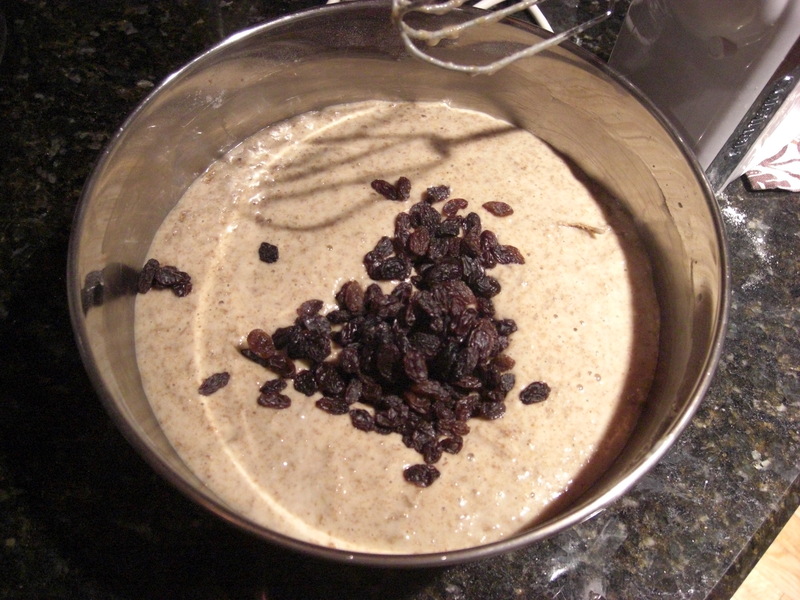 I added raisins and chopped dried dates to my batch because I like a punch of sweetness first thing in the AM. 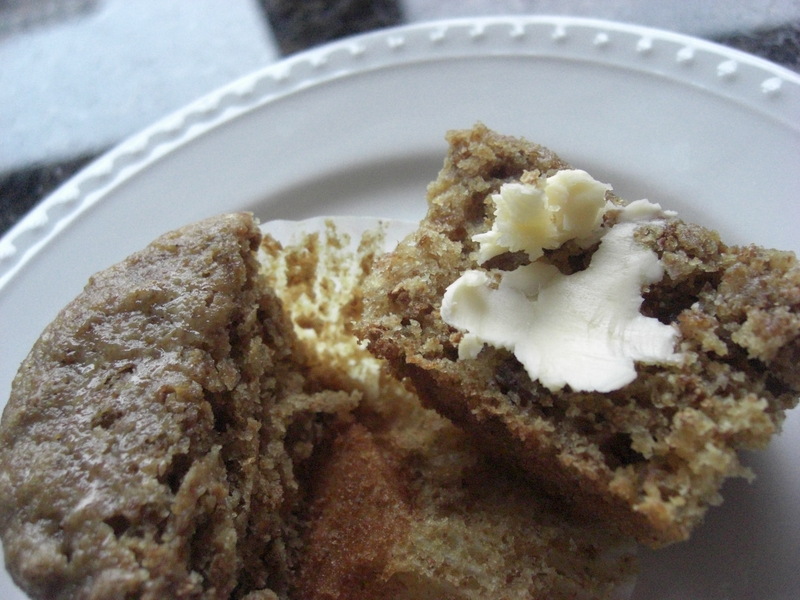 Bran muffins can also be so-so unless there are some added ingredients of interest. You can get away with using one box of bran cereal, although the recipe calls for two different types. If you aren’t a normal bran eating person, why buy two boxes of bran cereal? Pour water over Bran Buds and let set. Mix oil, sugar and eggs. Add milk. Stir until well combined. Add Kellogg’s All Bran. Sift flour, baking soda and salt. 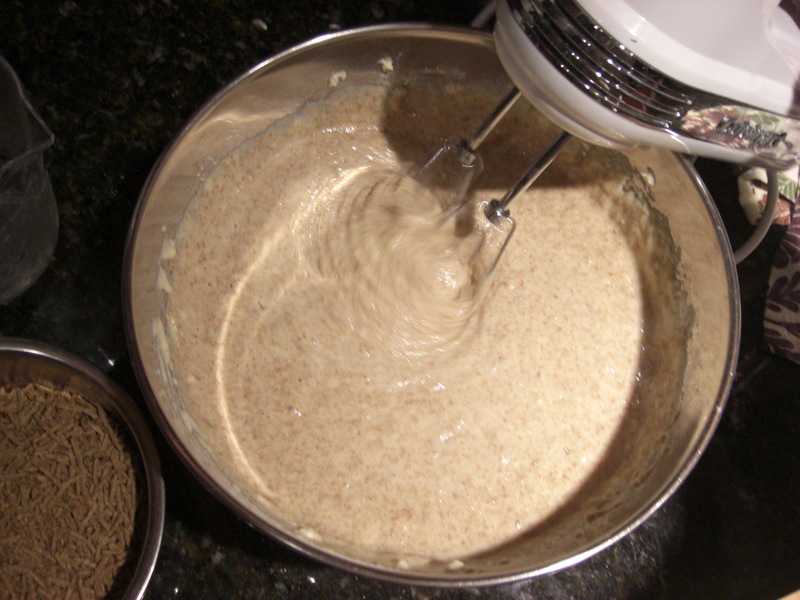 Combine with creamed mixture. Fold in soaked bran. Bake in greased muffin tins for 15-18 minutes at 400 degrees. You can also keep the batter for up to 6 weeks tightly covered in refrigerator. Leave space at top of container as batter may grow.